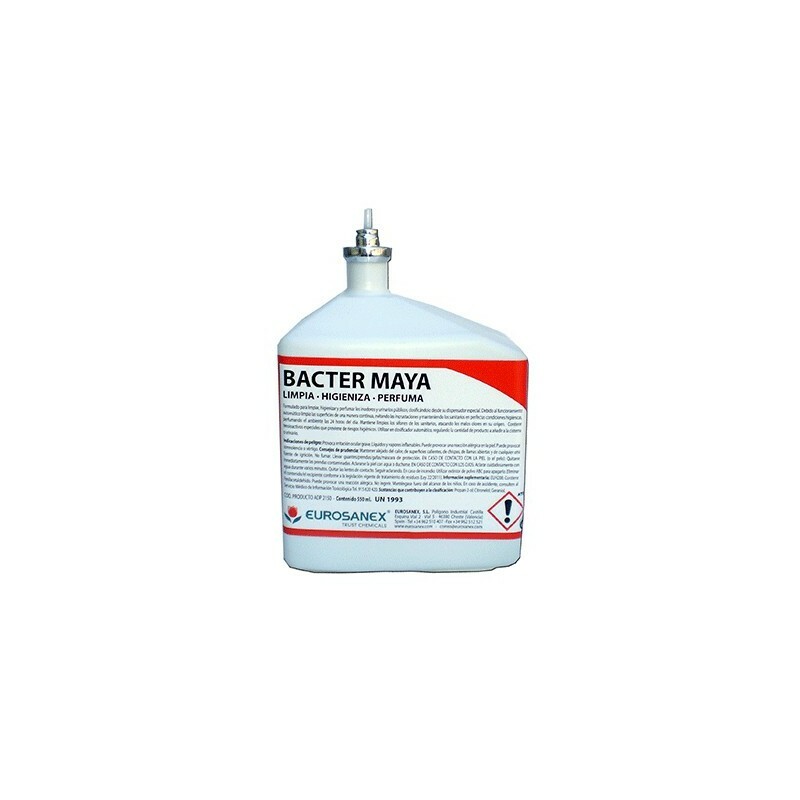 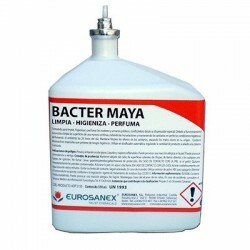 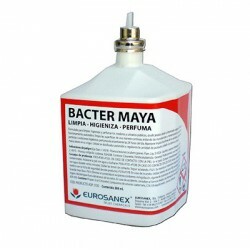 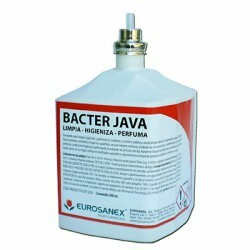 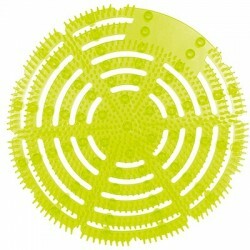 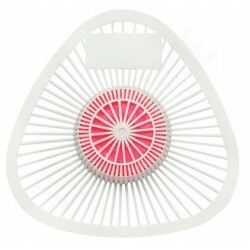 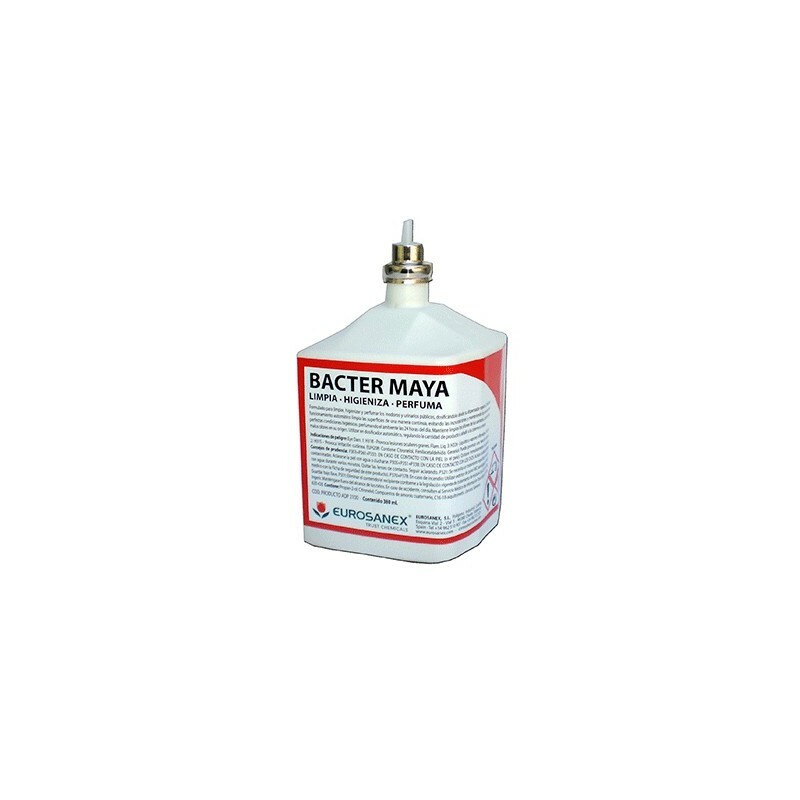 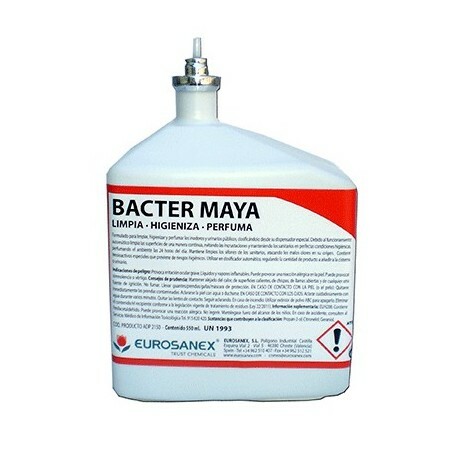 The BACTER MAYA air freshener refills, with a pleasant, intense floral scent, are one of the best-sellers at EUROSANEX. 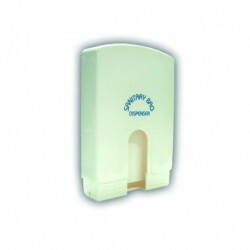 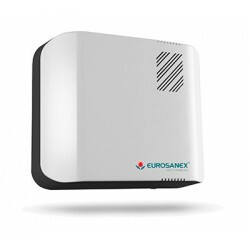 They are very useful in all sectors of professional hygiene, specially for toilets at shopping centres, offices, stations, airports... 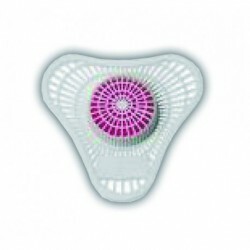 These refills must be used with an automatic dispenser that regulates the amount of product flushed onto the toilet bowl or urinal, leaving the bathroom refreshingly perfumed. 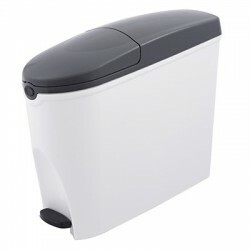 Thanks to the automatic dispenser, they clean surfaces continuously, prevent limescale, and keep the toilet in perfect hygiene conditions with a pleasant scent 24/7. 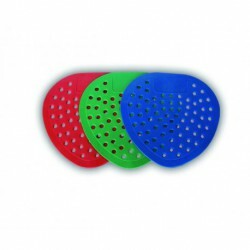 They contain special tensioactives that prevent hygiene risks, since they keep the toilet traps clean and attack bad smells at their origin. Use with an automatic dispenser. 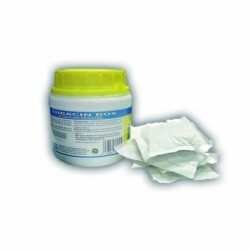 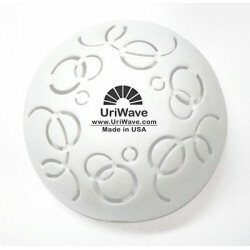 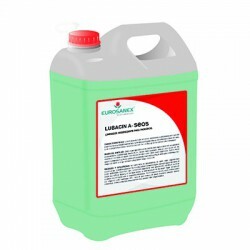 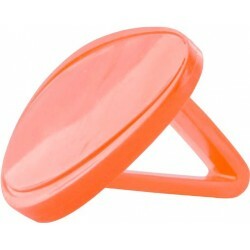 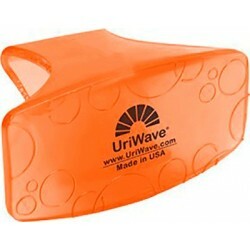 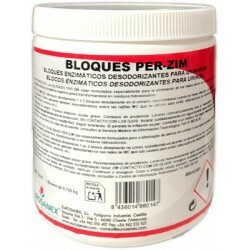 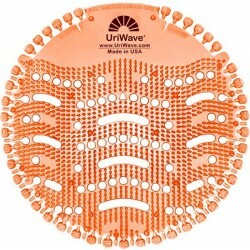 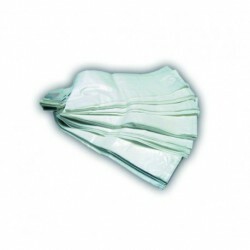 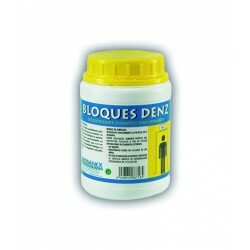 Regulate the amount or product that will be flushed onto the toilet bowl or urinal.